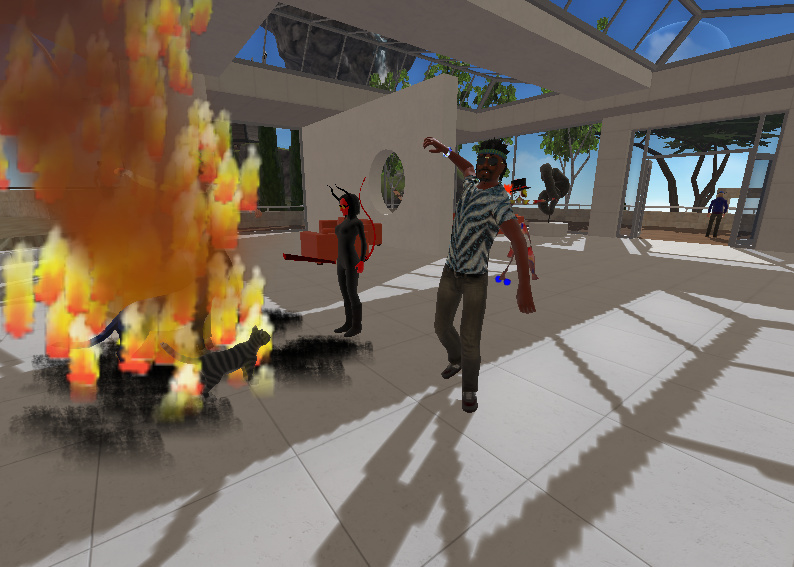 Cloud Party would be a much poorer place without exceptionally creative people like Fritz Maier. 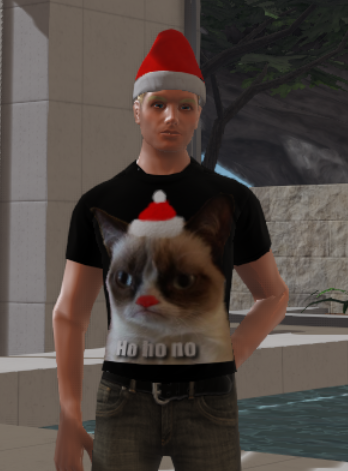 To celebrate the new year, for one week (until midnight, January 5th, 2013), all ten of my clothing items will be available for free! Yes, FREE! 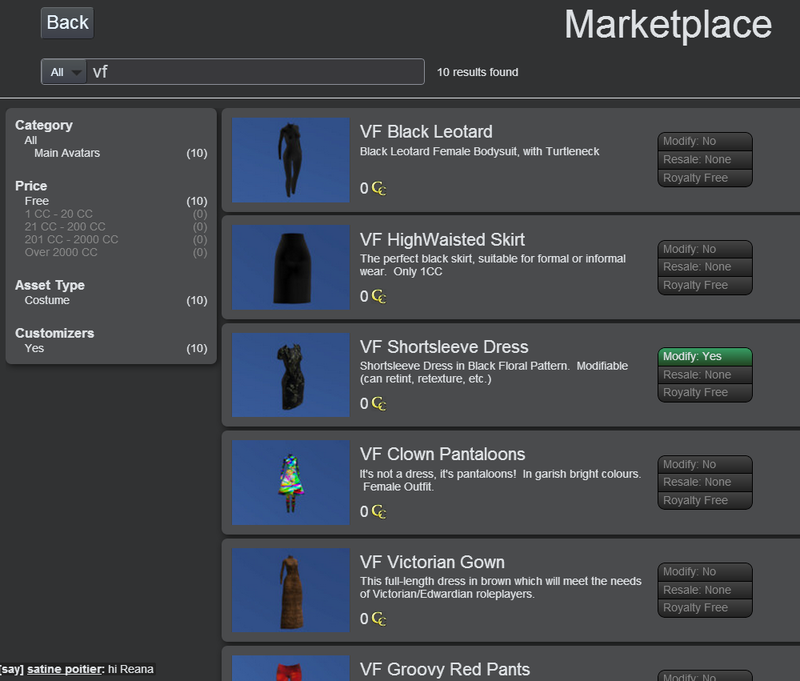 To find a list of all ten free items, search "vf" on the Marketplace. Remember, this is only until midnight Central Standard Time (Winnipeg/Chicago time), January 5th, 2013!! 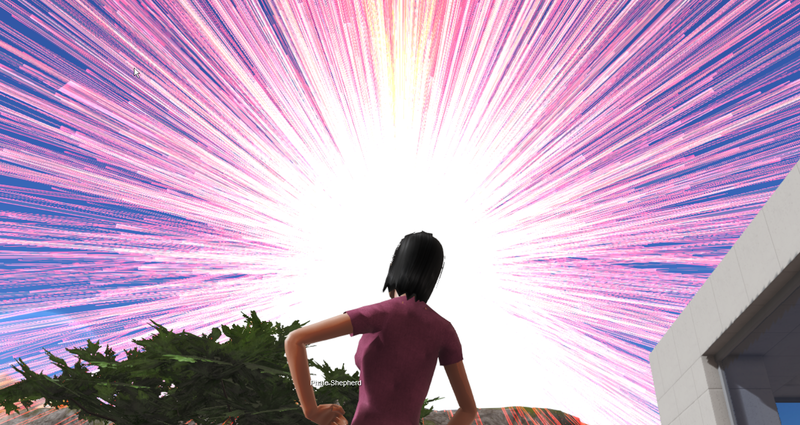 Rant, Continued: More Griefing at Starting Island. 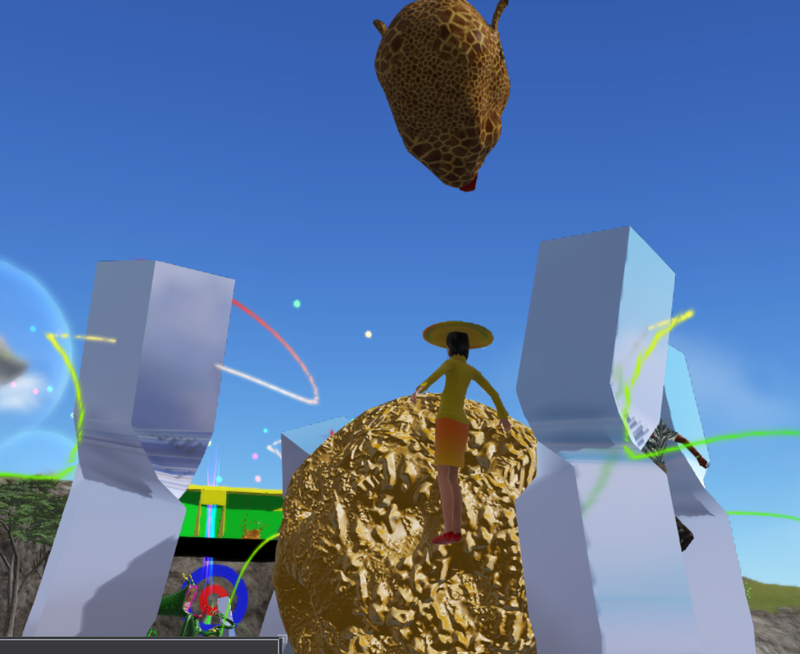 This is the same person who was raining these same objects down on newbie avatars in the Welcome Centre, which I referred to in an earlier blogpost about this matter. 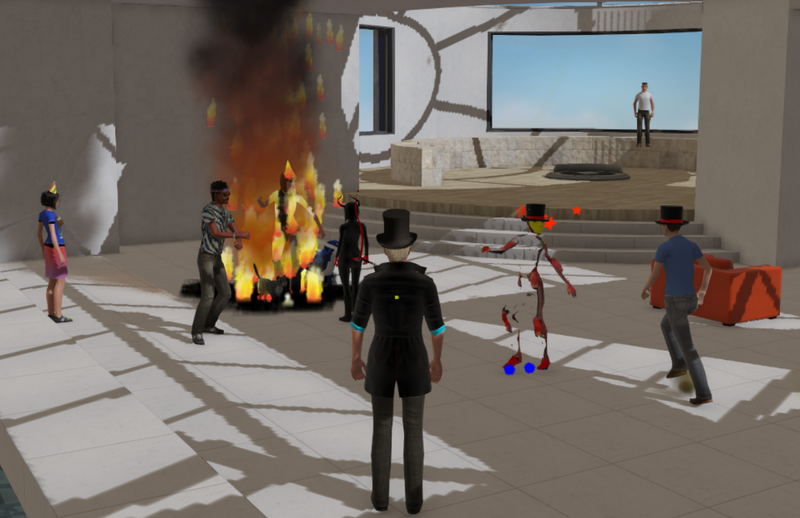 It's time that a combination of technical rules and social rules be enforced to stop, or at least curtail, these sorts of things from happening in the future. Perhaps we need to shorten the 5 hour auto-return of created objects. Perhaps we need to impose some sort of ban system based on internal usrerid or IP address. Perhaps we need to give moderators special powers to combat this spam. All I know is, we need to have some serious discussion about what to do. If we having this problem with only a dozen or so avatars on Starting Island at a time, what is going to happen when there are 50? I think it's high time that people STOP AND THINK ABOUT WHAT THEY ARE DOING on the Starting Island. 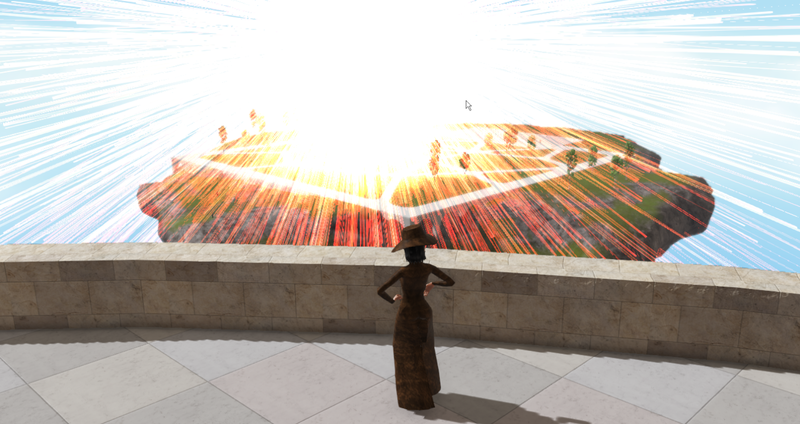 Today we have had one person who spawned dozens of red horned demon balls at the Welcome Center, leading to a complaint from one visitor, a newbie who is unlikely to come back because of what he calls "griefing". 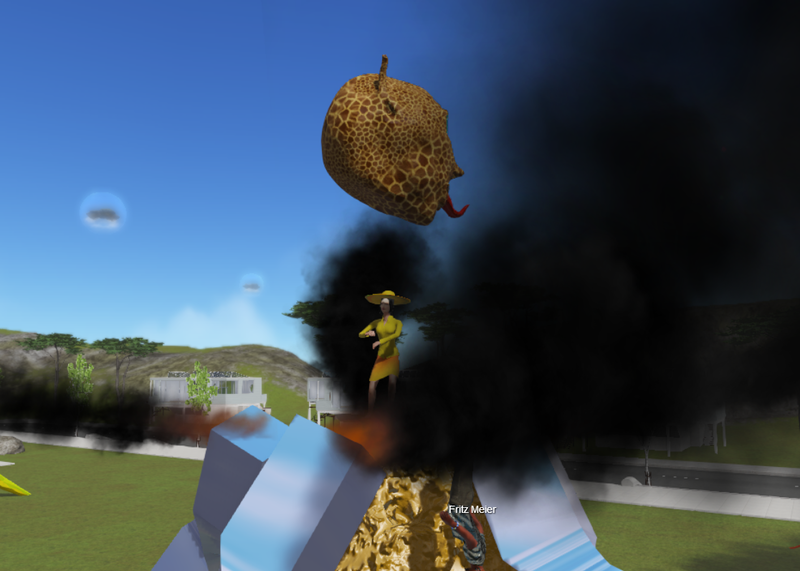 Whether or not it is actually griefing is beside the point; the point is that the Starting Island is NOT THE PLACE TO BE DOING THESE SORTS OF EXPERIMENTS. Someone just started it up and LEFT IT RUNNING. Do you have any idea what this sort of display can do to slower graphics cards on slower computers?!?? Are we deliberately making things difficult for the newbies arriving on Starting Island?? It only takes a modicum of commons sense to realize that these sorts of activities can be better performed OFF of Starting Island. If we repel new users because of these childish antics, then if Cloud Party fails we have nobody to blame but ourselves. YES, we have to think of the newbie users. 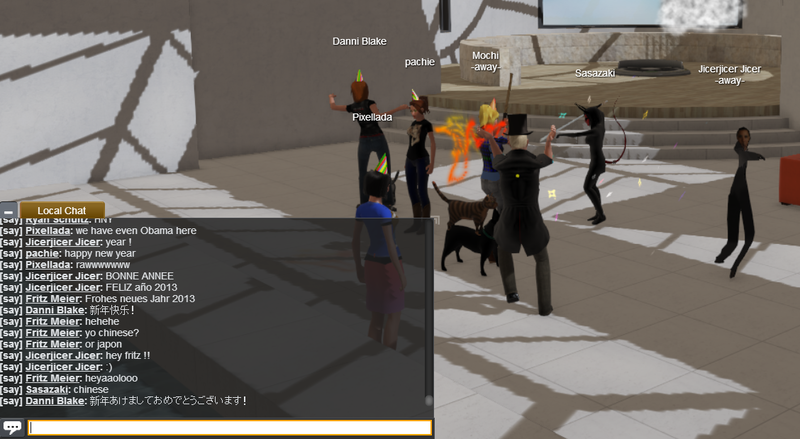 How would you feel about Cloud Party if you showed up, all eager to build, only to find the public sandbox looks like this?? 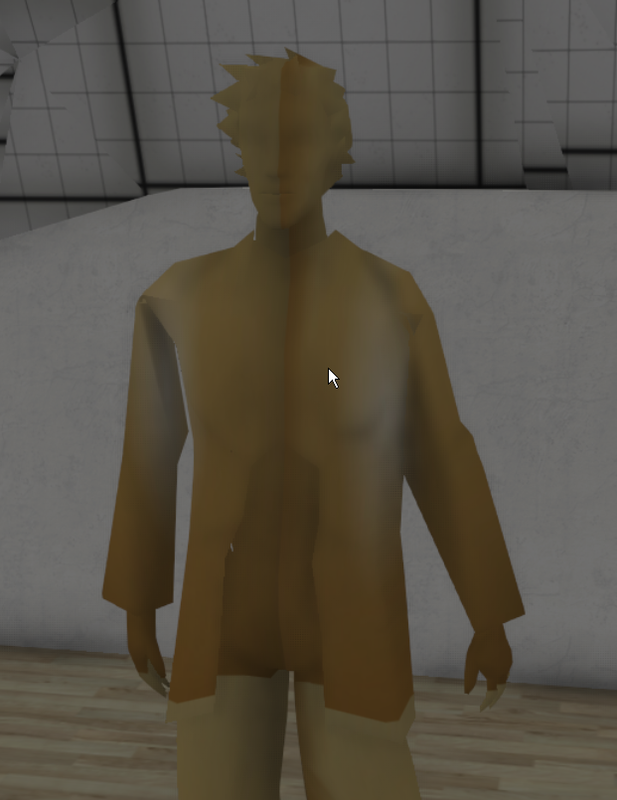 Sometimes you can have the following problem: A piece of clothing is letting your skin show through from underneath it. 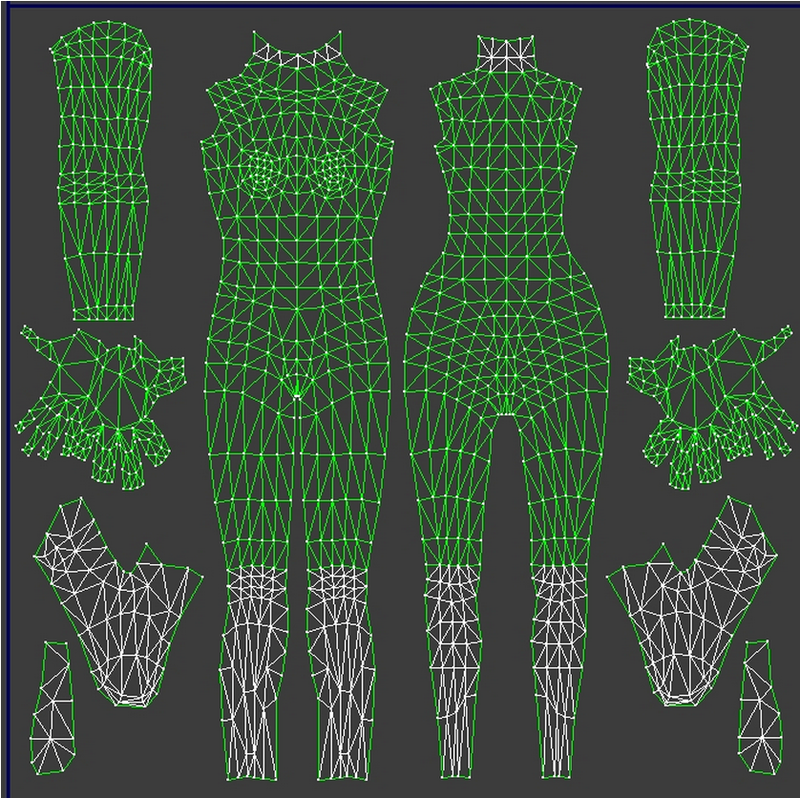 One solution is to keep editing the clothing mesh so that it does not let any skin show through anyplace, but this can be a laborious process, and you will still come across animations that will stretch the clothing in an unusual way and your skin will still show through. repeat steps 1 through 7 until you are satisfied with your mask. 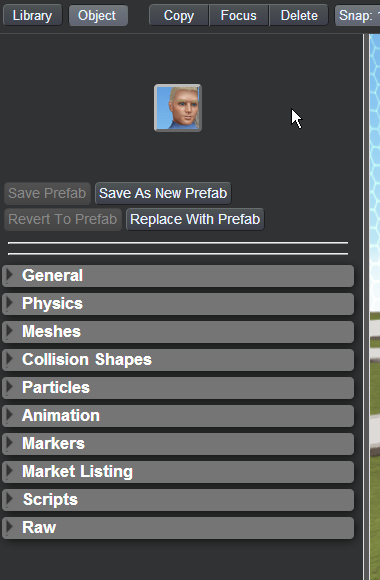 Step 1: I will be using PhotoShop for this tutorial as I am most familiar with it. 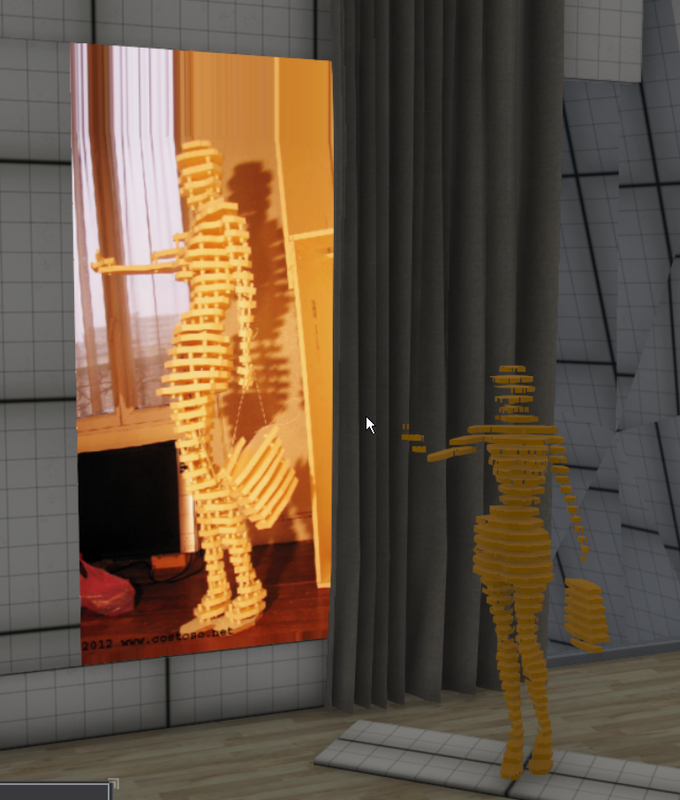 I load the female body layout (Female/texture/F_body_d from the Avatar Development Kit) into PhotoShop, and then I use the Layers menu to create a new, transparent layer. Do NOT color the hands or feet in black or they will also be transparent! 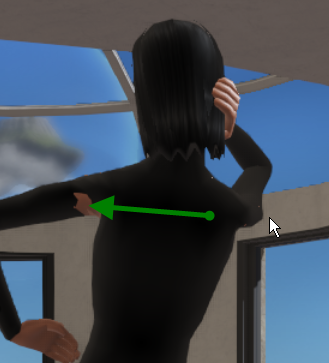 Note that if you did not want a turtleneck on the leotard, you could also have left the neck part of the female body layout white as well. 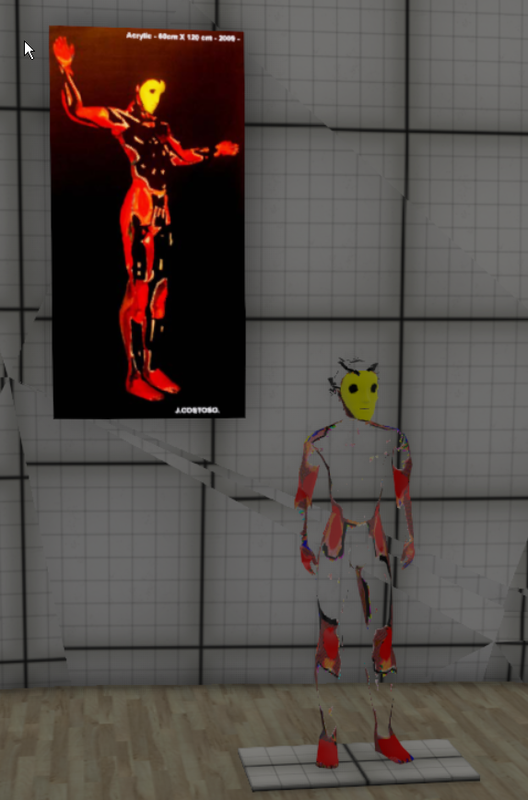 In actuality the alpha/UV mask is a greyscale image: black for transparent areas, white for visible areas, and greys for anything in-between (although it can be hard to think of a reason for something to be partially transparent). 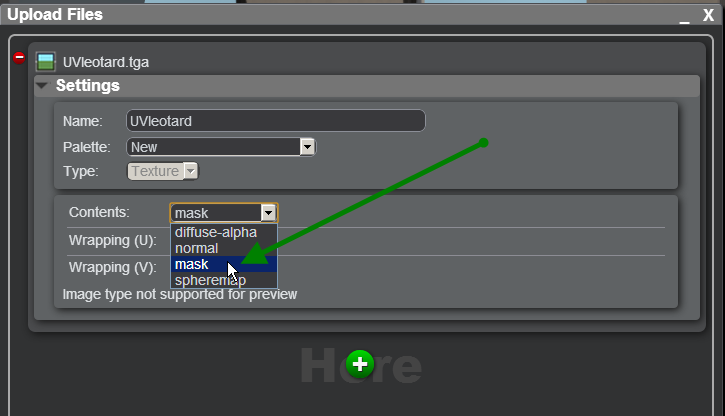 Step 4: Then save that transparent layer (and ONLY that layer) as a TARGA (*.tga) format file. It's available in one version for men and another version for women. Get yours today! Subongo has very kindly decided to offer his older women's designs for free via the Marketplace. This is a collection of 3 dresses, 12 tops, 1 pair of pants, 4 skirts, and 1 pair of high-heeled shoes (note that the high-heeled shoes tend to sink into the floor a little). To get this colourful set of women's clothing for free, go into the Marketplace and do a search for "Subongo 21 Freebize". Then buy the item for 0 CC. The items will all be sorted into their proper categories in your clothing inventory, and you'll be all ready to go! Thank you Subongo! 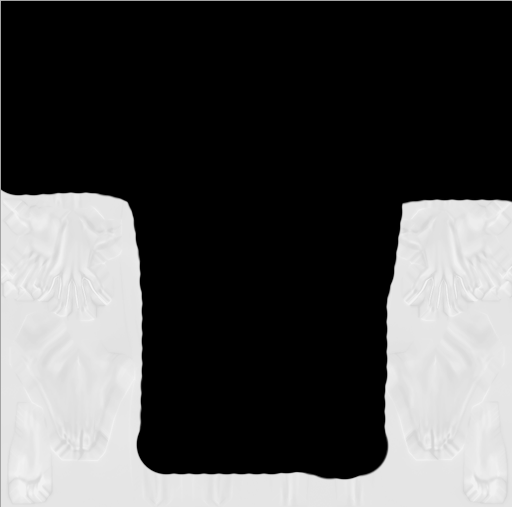 As an added bonus, the clothes are all editable (they can be retinted, retextured, etc.). Get creative! 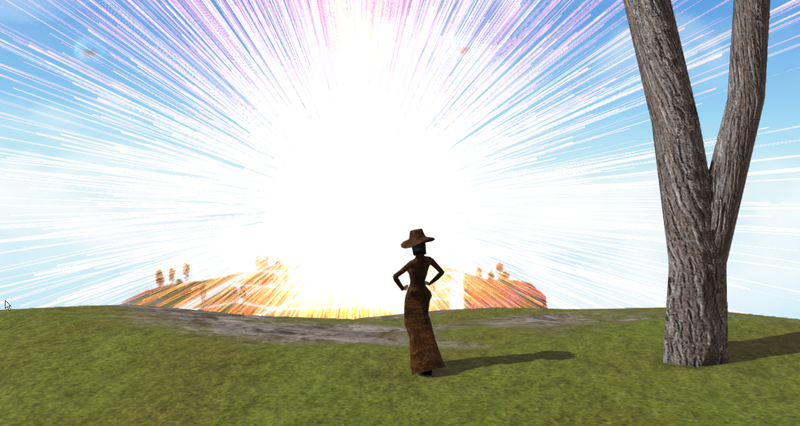 In Second Life it was all so simple: just apply a texture to a prim and you were set. 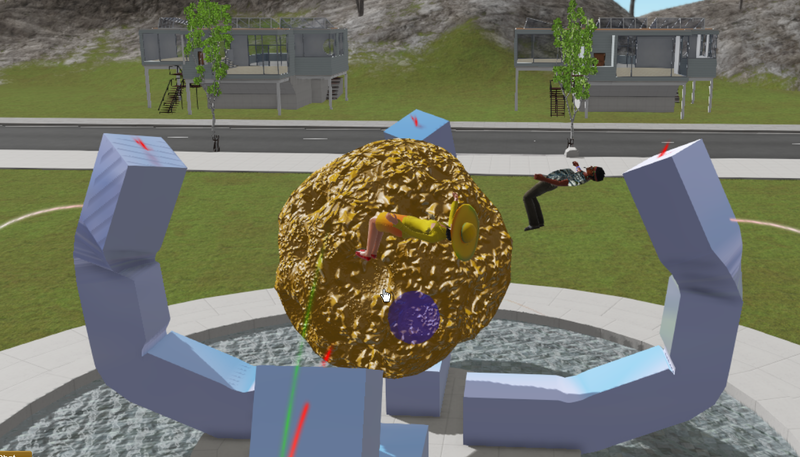 Alas, in most virtual worlds, including Cloud Party, it is more complicated than that. 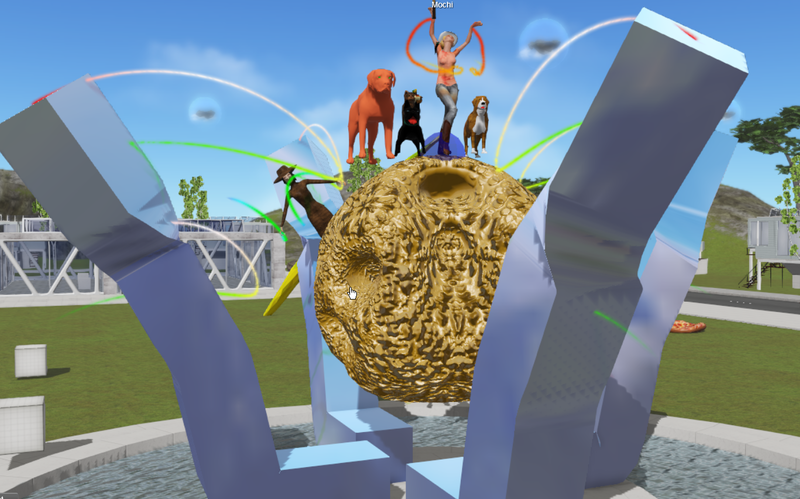 Today I am going to take you, step by step, through the process of putting a texture on an object, using some pre-made objects* just made available on the Marketplace by Lilli Thompson (thanks Lilli!). 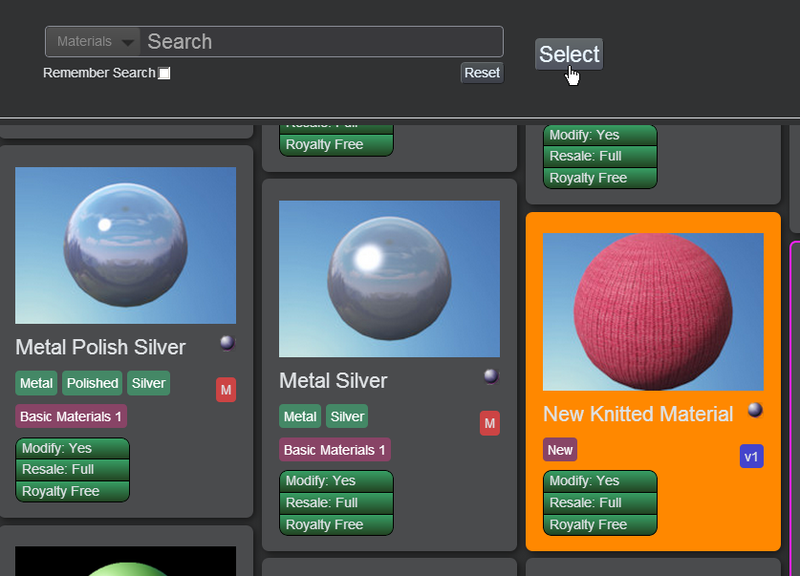 Buy the package of objects for 0 CC (free). We'll get back to them later. 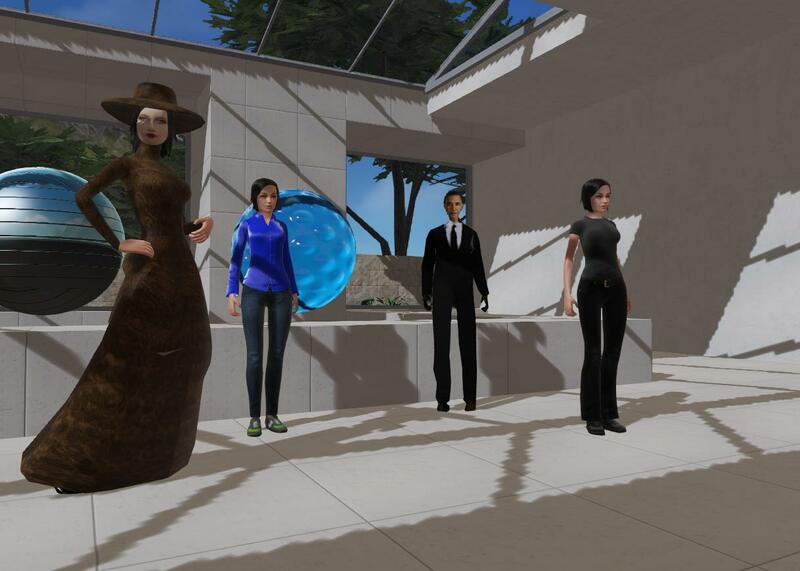 Opensim Creations (http://opensim-creations.com/) has many, many sets of textures which you can use for free in your projects. Browse through the blog and see what you can find! 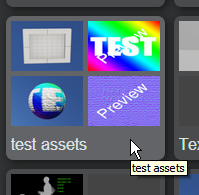 Click the green plus sign and use the box to select the file from your computer that contains the texture. 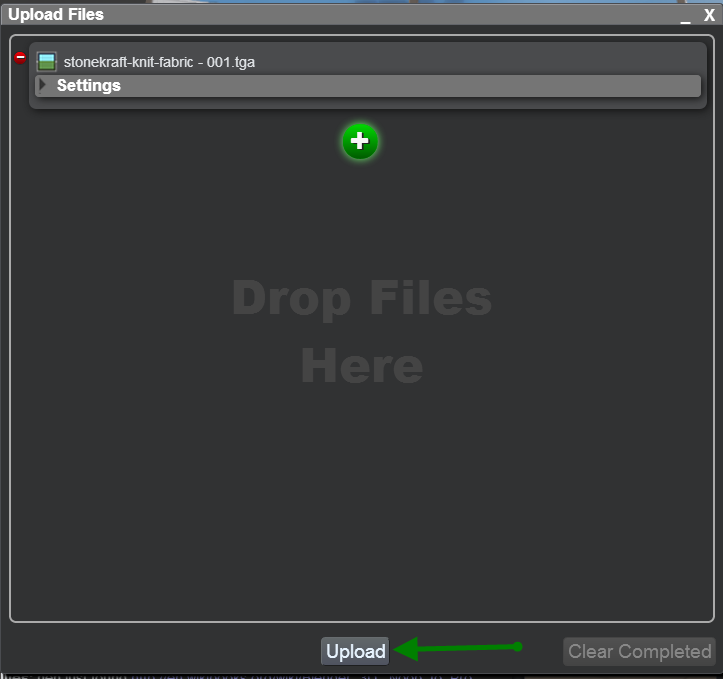 Click the Upload button at the bottom. 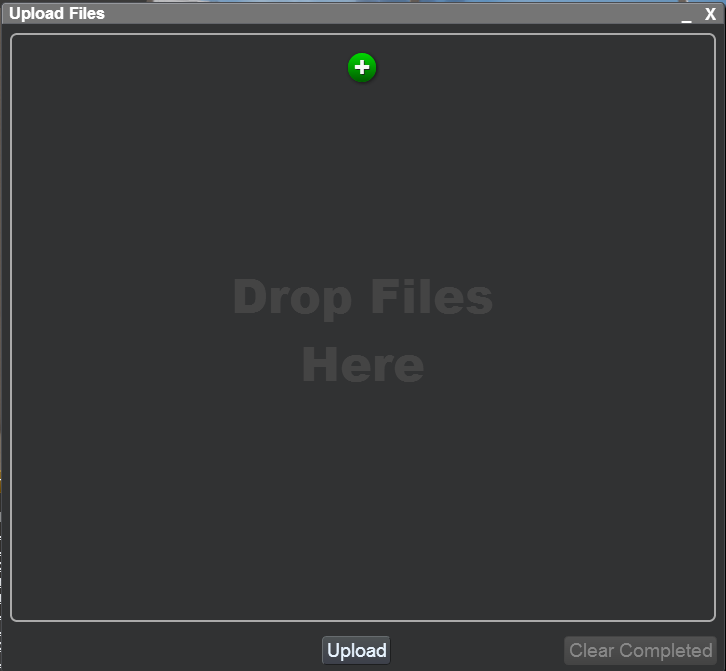 Once it is uploaded, the box will turn green and you can then exit it by clicking the X in the upper right corner. 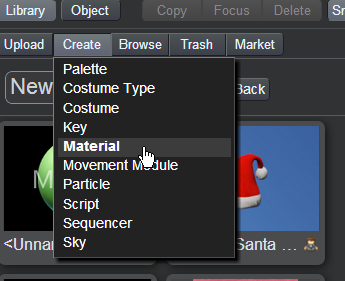 You will be presented with a small box in which you can title the material. 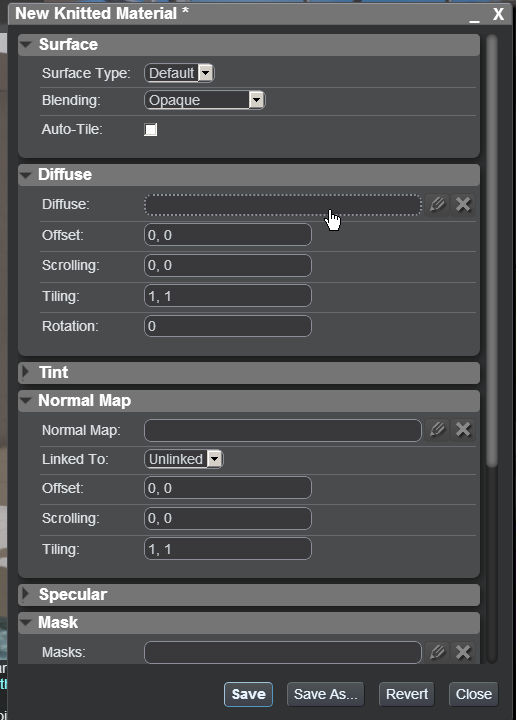 Give the material a name you will remember and hit OK.
Click the Diffuse field, and you will see the list of textures you have uploaded. 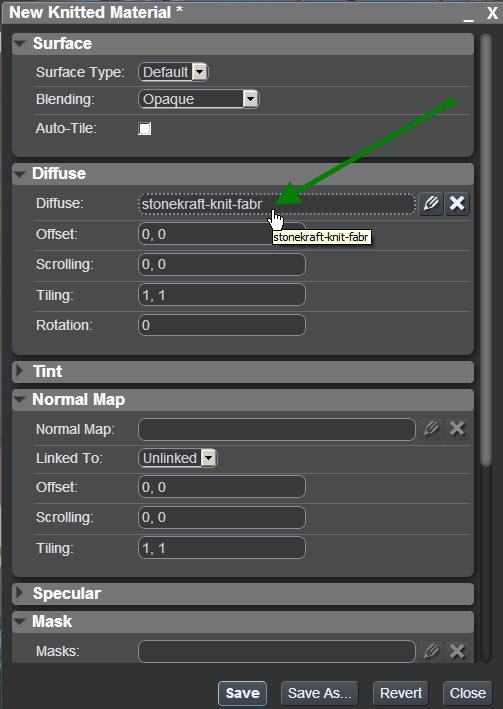 Click on the texture you uploaded in Step Three, which will then be highlighted orange, then click the Select button, and it will fill in that field. 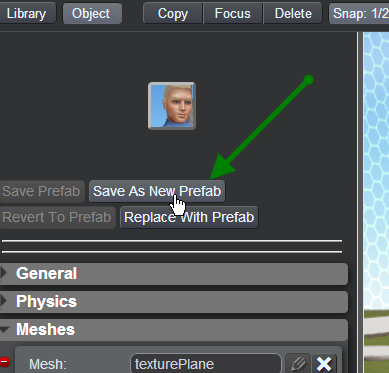 Then click Save to close the box and save the material. You now have a material that contains the texture you want to put on your sign. 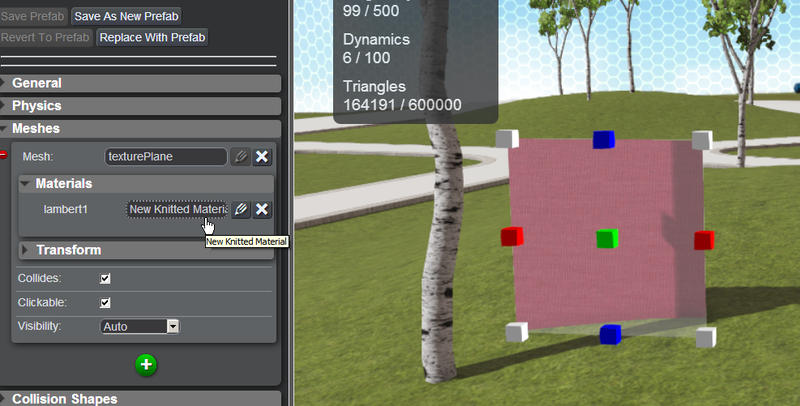 Note that once you have created the material you can place it on an object (as we will do in the following steps). 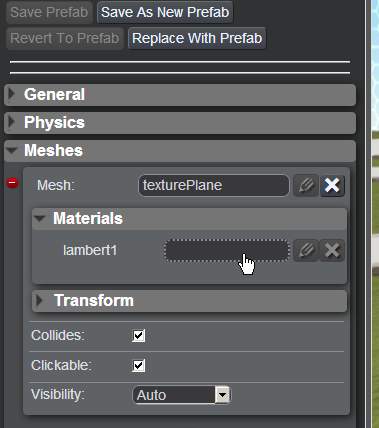 Whenever you update that material, the changes to the object will be seen LIVE. In other words, you change the material and you get immediate feedback. 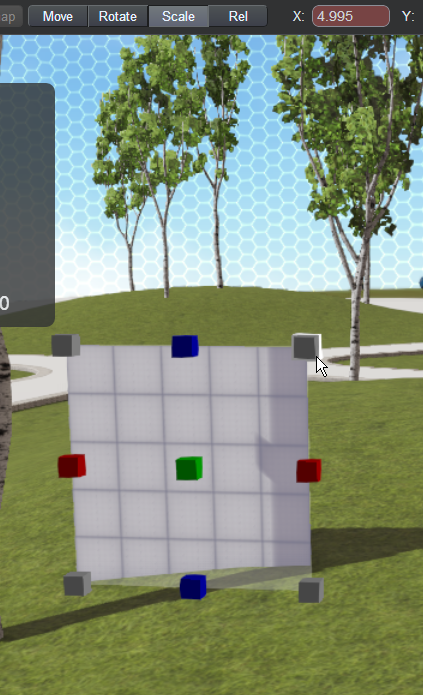 Adjust the sign using the Move, Rotate, and Scale buttons as necessary. 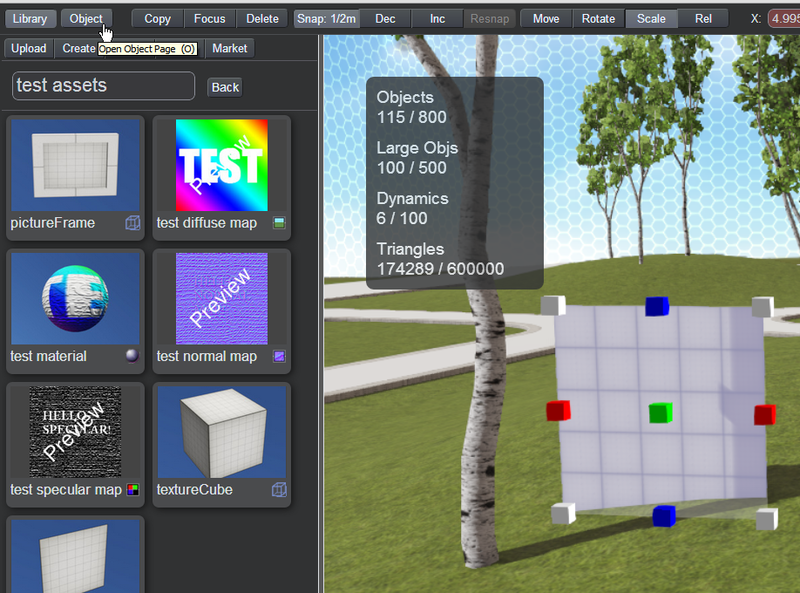 Click the empty field, and you will be presented will a list of materials you have already created Click on the material you created in Step Four, and it will be highlighted in orange. Then click the Select button. NOTE: I am picking a pink knit, but it could just as easily be the words on a sign! A texture can be any image. You're done! 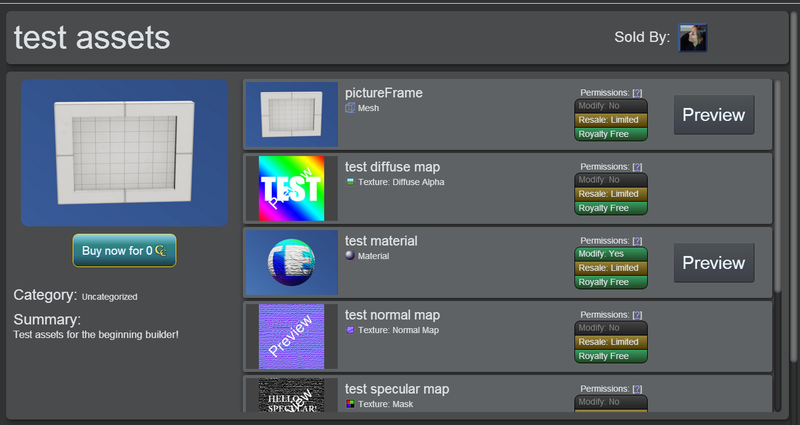 At this point you should have the texture displaying properly on the sign you have created in-world, and a copy of that sign in your inventory (in a palette called "New"), so you can make duplicates. 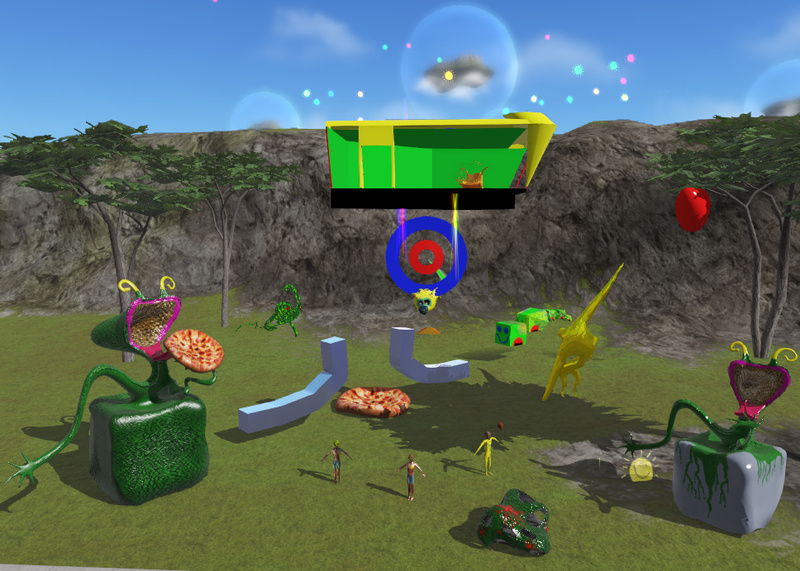 This may seem very complicated, but it is actually a very powerful system which allows you to do things with textures and objects that you could never do in Second Life! After a while this process will become like second nature. 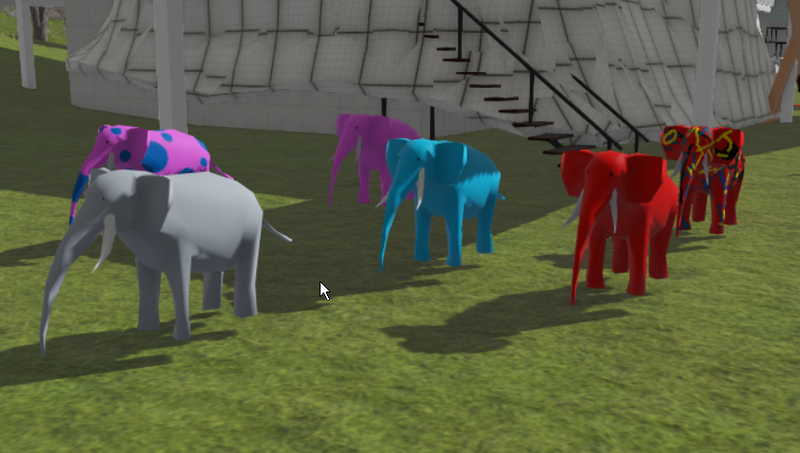 *The reason we are using Lilli's pre-made objects is because they already have something called the UV textures assigned to them, which tells Cloud Party exactly HOW the texture will be applied to the object. 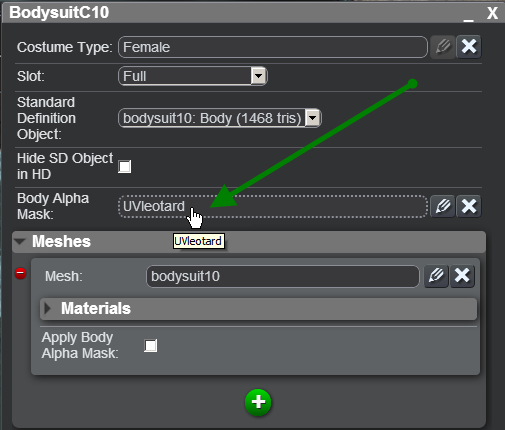 In the case of the sign object, it will make sure that the WHOLE texture is on the sign, not just a part of it. 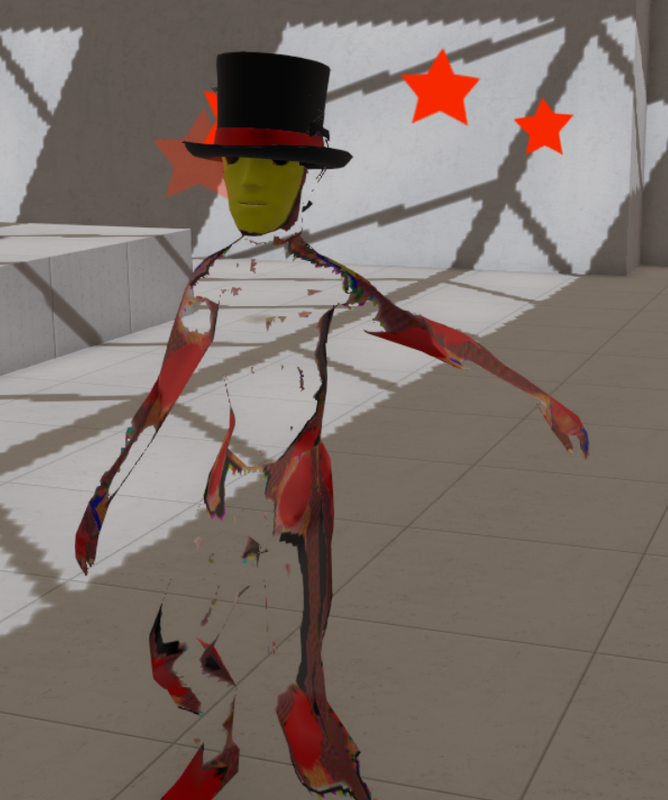 I can't explain UV textures at the moment any better than that, sorry, I'm a clueless newbie like you!